But I'm taking a break from COL's to share some things we have been up to this week in our class! 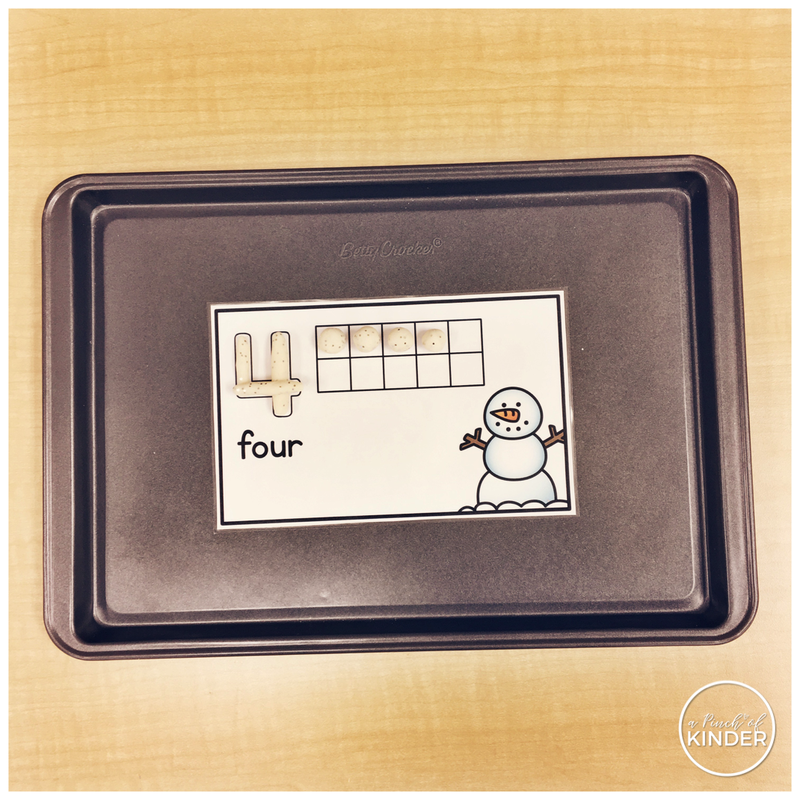 I got this idea from Montessori Design blog and thought it was a great, simple drawing invitation to put out during centre time! 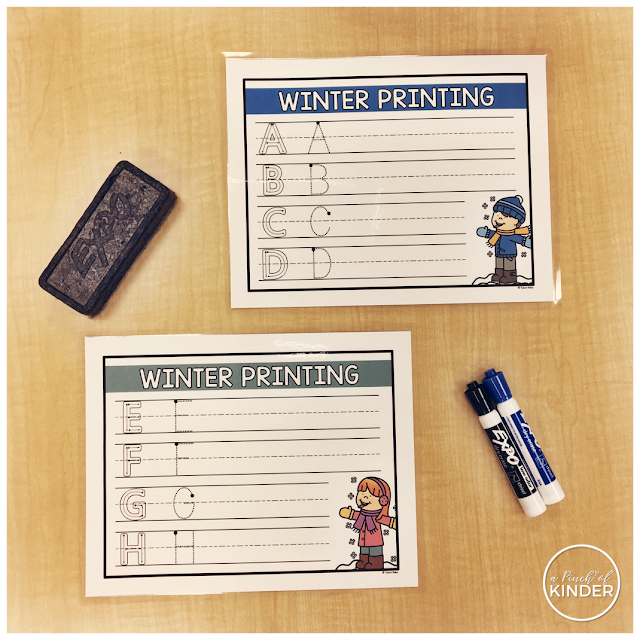 The kids enjoyed following the directions and learning how to draw their own snowflakes and it was great fine motor practice and practice for following visual directions! I just drew each step in a square, cut them out, glued them on a piece of blue cardstock and laminated the strip for durability. 3. 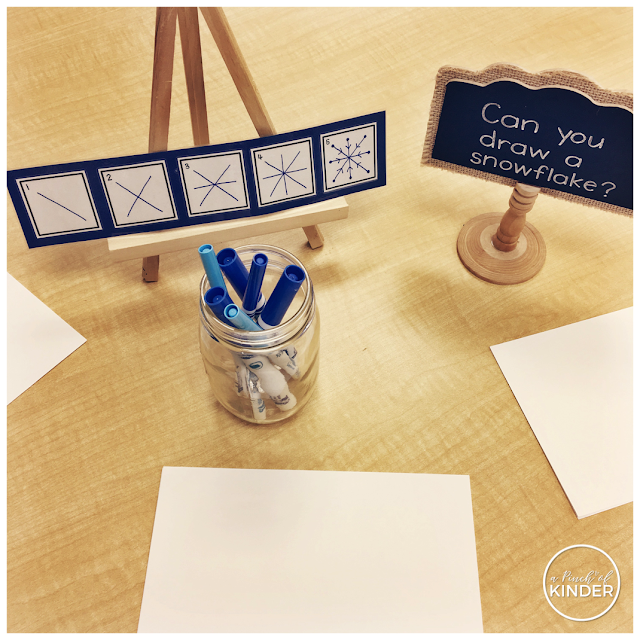 CAN YOU BUILD A SNOWFLAKE? This was another great hands-on centre for looking closely and using creativity to create! 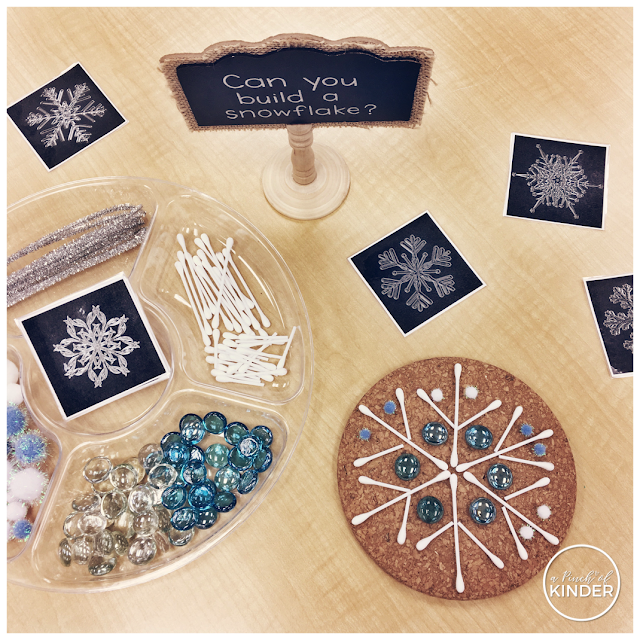 Students were invited to use the snowflake images as inspiration and create their own snowflakes using loose parts. I set out silver pipe cleaners, q-tips, blue/clear marbles and blue/white pom poms but you can use any white/blue loose parts you have on hand! I got these great snowflake photograph cards from MOMtesorri Life blog. You can click here to grab them for free too! I also set out this printable during math centres this week and invited them to read the number beside the snowman and add that many buttons with a q-tip and paint. My kids love anything with paint and it was good practice for my intervention students. 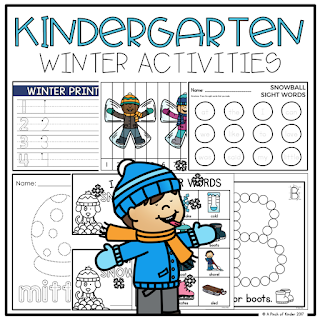 You can find this printable in my winter pack by clicking here if you are interested. 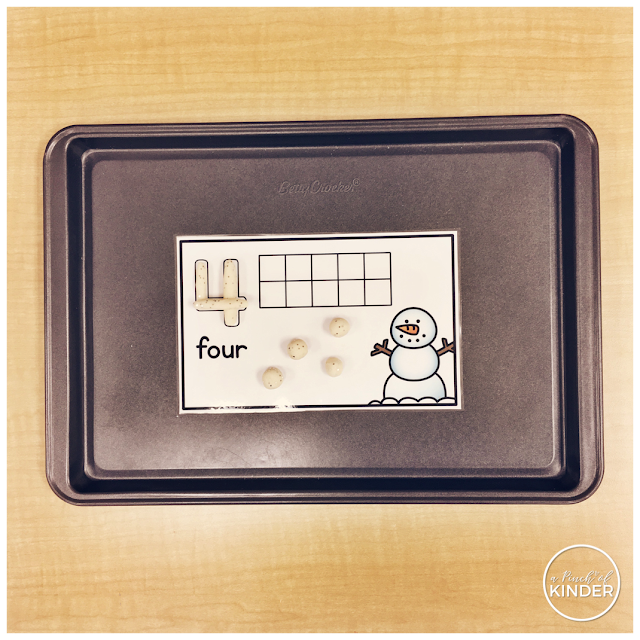 My kids also love anything play dough and many of them need practice with creating sets so I made these snowball play dough counting mats and set them out with white play dough. 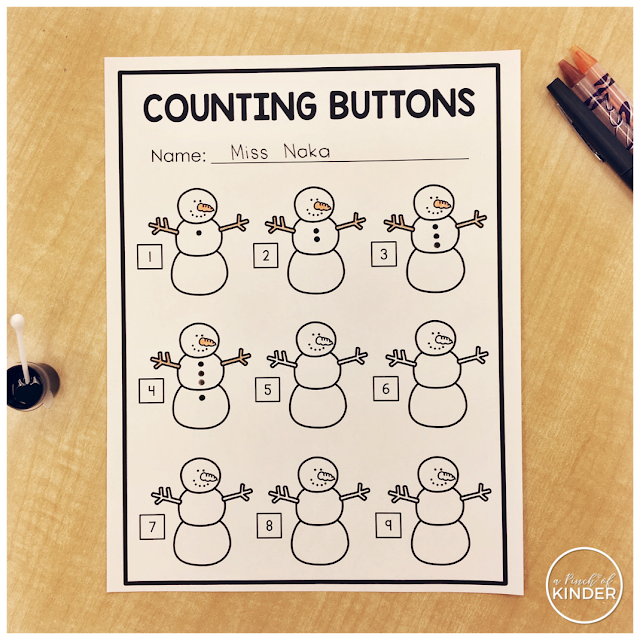 They could make the numeral and make that many snowballs in the ten frame or in the blank space below. I made them half page in 1-10 and full page in 11-20 for the kids who are ready for bigger numbers. If you want to grab these play dough mats they are also included in my winter activities pack which you can find by clicking here. Ok that's it from me this week! I hope you were able to find some ideas to use in your classroom! Have a great weekend!